Enjoy the ride God has set before thee! We are different. Since 1986, A Freeman Driving school has been teaching our customers to be confident and skilled drivers. We strive to make safety a priority. Our patient driving instructors teach you how to drive with confidence and awareness. We want your experience with us to be as stress-free as possible. We pride ourselves in excellent customer service. Reach out to one of our knowledgeable staff members and they will help you with any questions you may have. You have the option to choose from a variety of driver education packages because we know not everyone needs the same services. All of our available driver ed courses are listed with descriptions so you can pick what fits best for you. We know drivers education can be confusing at times. We want to make things as simple as possible for you, so we provide resources and FAQs to help you find the answers to your questions. Shaping safe, confident, and responsible drivers in the greater Oakdale and Lafayette areas for more than 30 years. 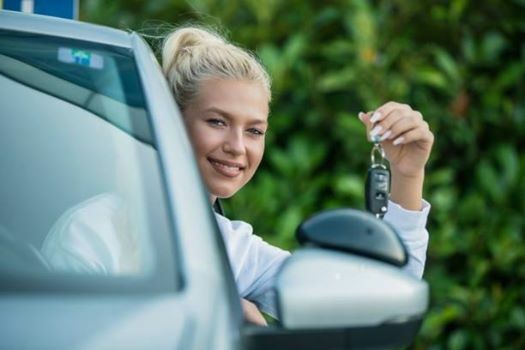 Take our comprehensive teen or adult driver ed course at our driving school in Lafayette or Oakdale. Gain confidence behind-the-wheel and learn the rules of the road with our Louisianna state-approved driver ed program. Our Louisiana-certified driver ed program teaches fundamentals of vehicle operation and the rules of the road in a safe and fun environment. Complete all your driver ed classroom, behind-the-wheel instruction, and DMV road test at A Freeman Defensive Driving School. MANDATORY: All parents and students must come in prior to class starting to sign paperwork and bring in the original copy of the student's birth certificate and Temporary Permit Card (TIP). You must obtain a TIP from the OMV. Learn more.